Dollar weakness on Friday could inspire the EURO and GBP against the Dollar to push higher. We have been looking to see if the Dollar has made its wave 5 completion pattern and it looks like that could have happened. The EURUSD will push higher for several days. We are still red on the PTS, so we assume that price will meet its next target. However, with momentum on the Storyteller rising we could see a rally at any time. If short trade stops. On Friday we have seen some strength in the EURUSD. This could last for a couple of days. On Friday we saw a spike higher intraday on Cable. 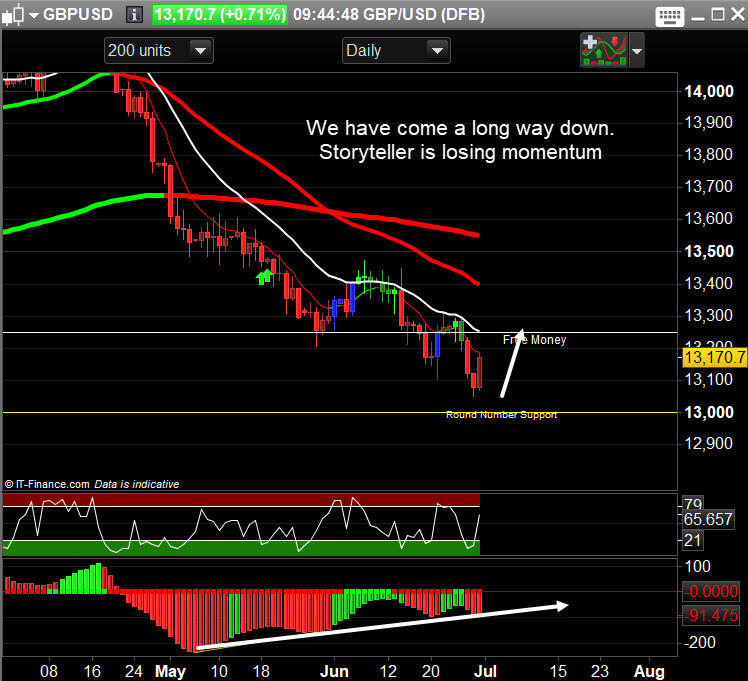 We could see a couple of days on strength as the Storyteller is losing momentum down. 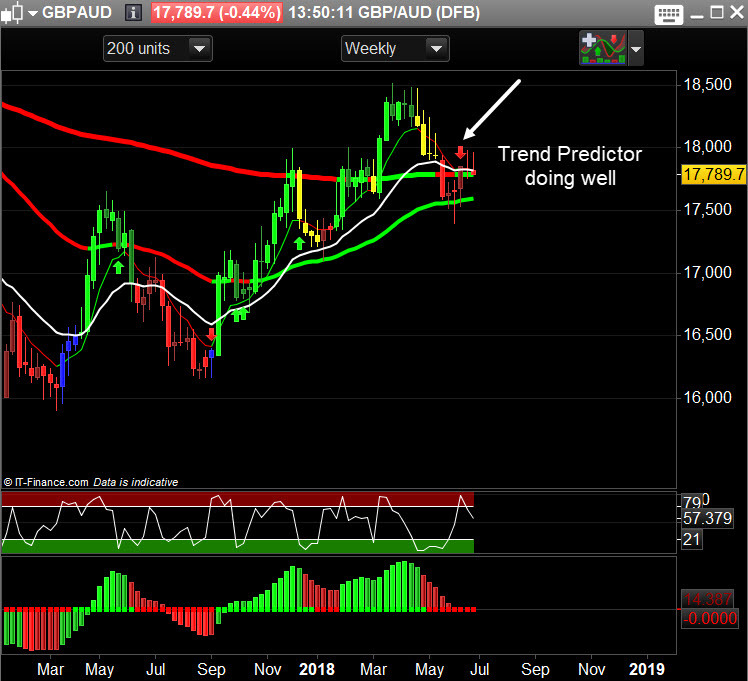 Trend Predictor weekly short signal is still in play here, so we could see some down side action. 24,000 held and on Friday we saw the markets push higher in the London session. We could rally into 4th July and then sell off after. As you can see we are pushing up into major resistance. The FTSE chart is simple. 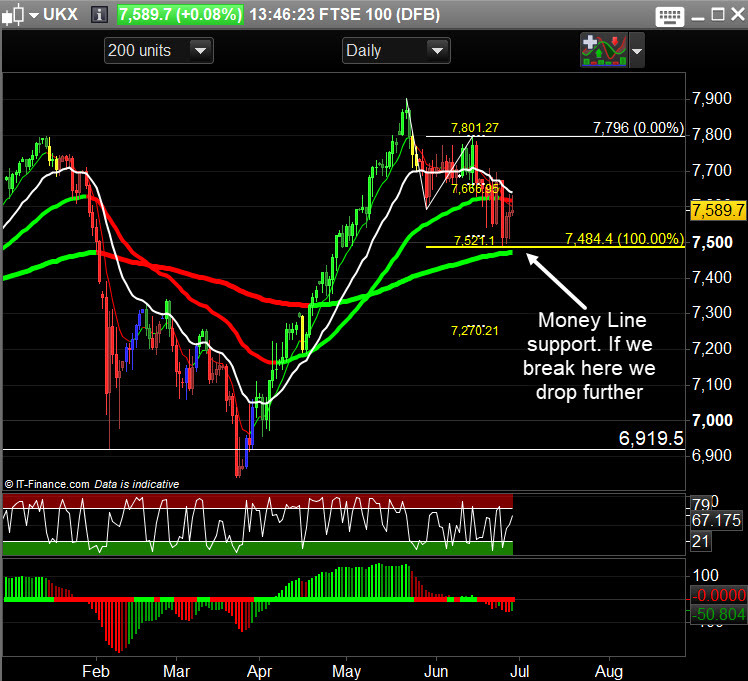 We are holding the Money Line support at 7484. If we break here we will enter into a new bear market. FTSE has been one of the strongest indices. 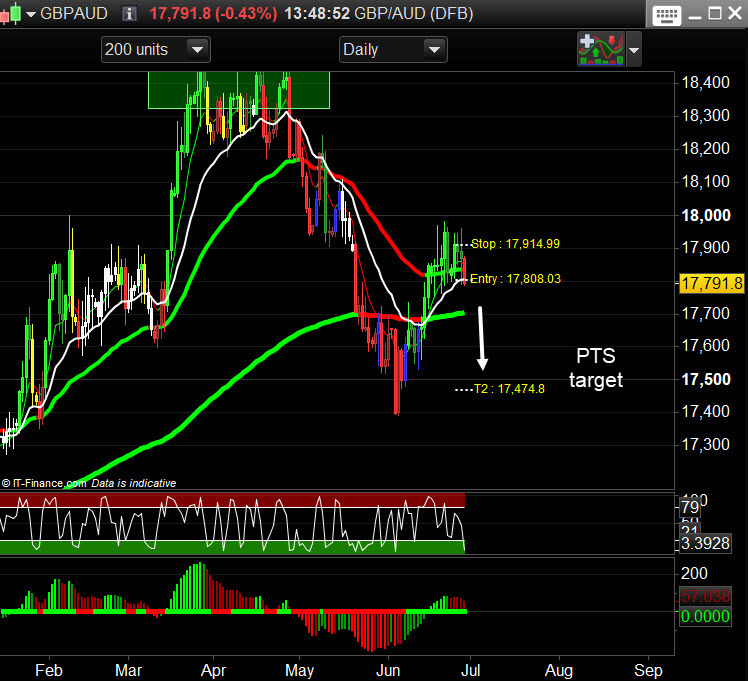 We are very extended and with 90% bear sentiment we could see a move higher any time. Who is left to short? 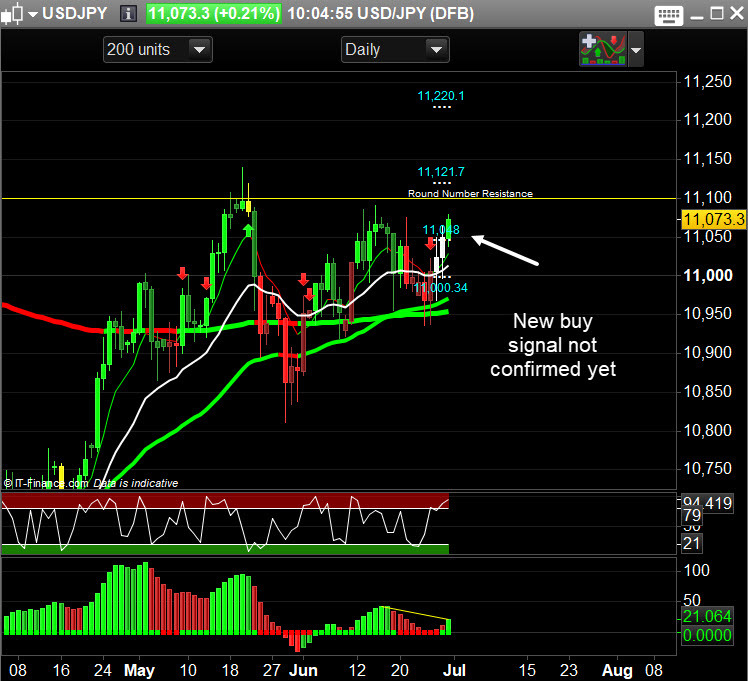 Looking for a move higher very soon. 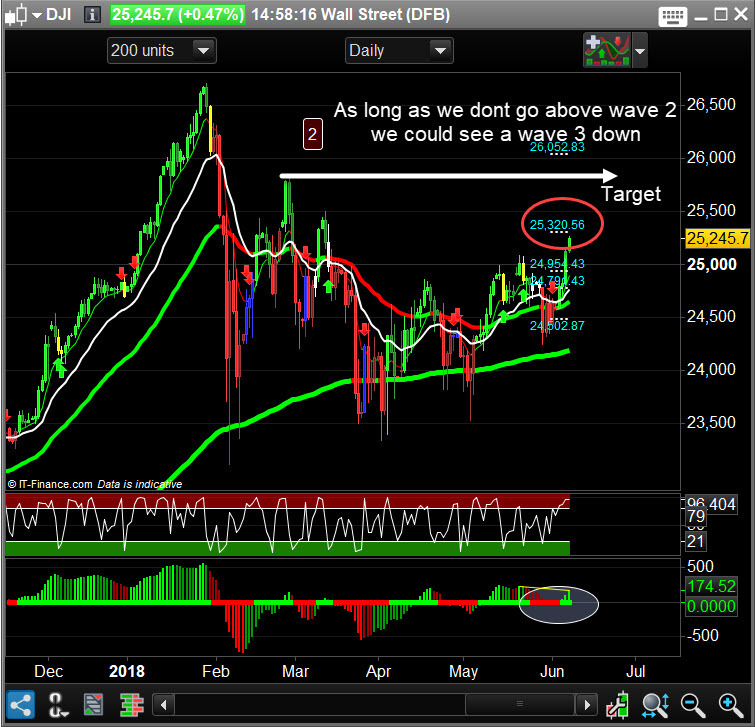 We could still be in the beginning of a wave 3. Nothing has changed since Tuesday’s update. 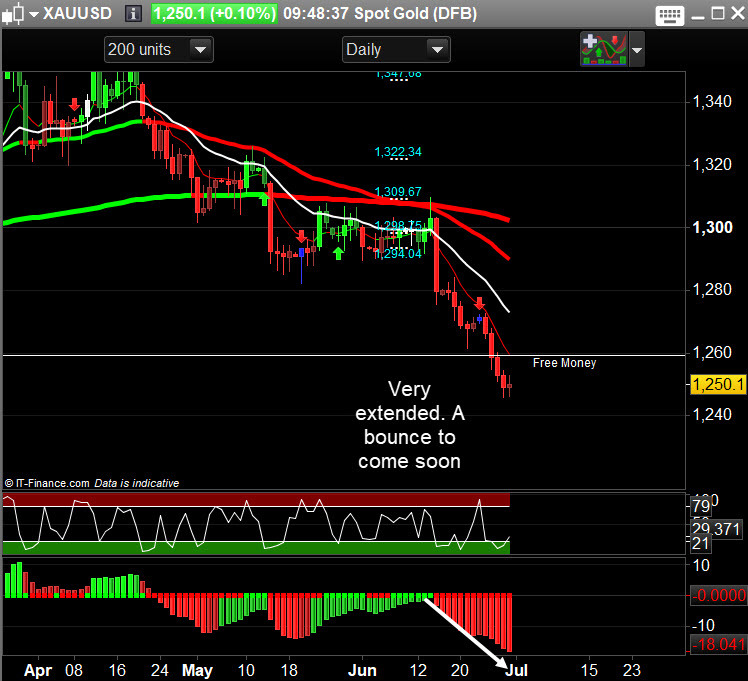 From a bearish divergence signal on the weekly time frame, the 240 min chart has now entered a 5 wave decline. 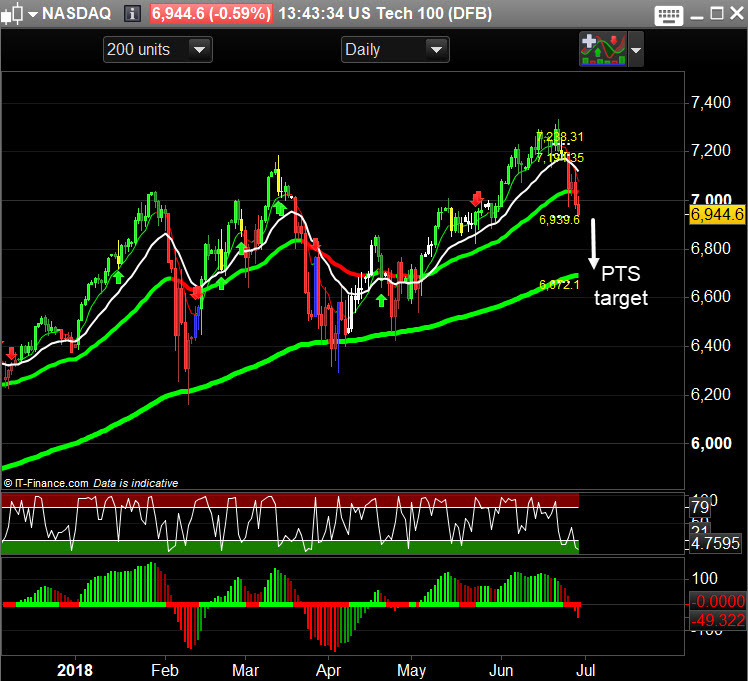 6939 is the daily target on the PTS.